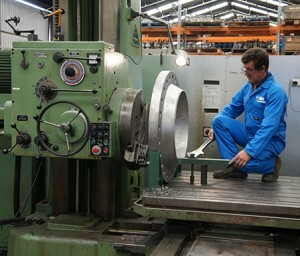 Our supply resource is enhanced by our in-house machining and testing facility allowing us to provide valve upgrades. 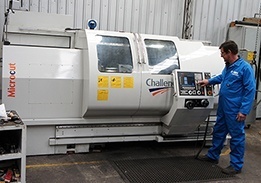 Global Supply Line Engineering can perform all types of modifications and options in our fully equipped facility. Modifications include valve end conversion, operator retro-fit modification etc. 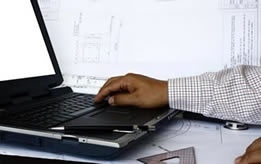 Our qualified engineers are capable of attending to all your needs. 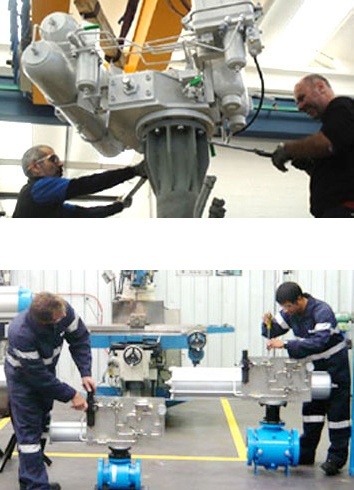 We can perform quick production or “rush” modifications and retrofitting of standard valves, such as upgrading to low temperature bonnet, special seats, modifying end connections, changing packing materials or assembling and mounting actuators. 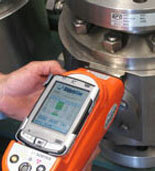 Modifications include all required testing. 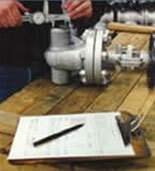 We also have a fully equipped valve automation centre and valve testing shop. 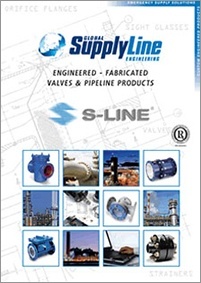 A large variety of flanged valves are available ex stock in “undrilled”. Furthermore we stock valves with blind face flanges and extra heavy buttweld end valves to enable us to provide any type of flange face finish and schedule of weld end. In conjunction with our in-house engineering division, special face-to-face dimensions, end connection types and flange drillings can be supplied enabling us to offer direct equivalents to any valve including many brands that are no longer available. We ensure that all work is performed on time and to your requirements. Our in-house facilities ensure fast delivery which our competitors can’t match. 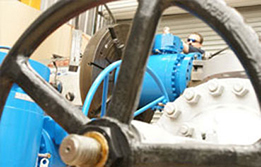 As part of our total valve management concept we also offer to manage and out-source your valve engineering and valve re-engineering requirements. We custom fast track manufacture valves in Australian Pipeline Valve brand from A105, LF2, 316, 316L, 410 and F51 as well as exotic grades like Monel, Super Duplex, Titanium, Alloy 20, etc. We can also reverse engineer rare replacement valves. 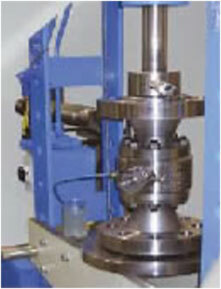 We can manufacture flanges in ANSI 150 to 2500 and API 2,000 to 15,000 PSI. After any work is performed valves are retested to relevant standards such as API6D, API598 and are inspected to MSS-SP55. We can additionally arrange any witness testing along with any other special testing that our customers may require. Linings:- halar, hard rubber, PTFE, ceramic, polypropylene, glass, EPTFE etc. We also manufacture flanges and stock machined forgings in A105/LF2/316/F51 and 4130/410 allowing us to fast track manufacture ANSI and API flanges, components and adaptors.